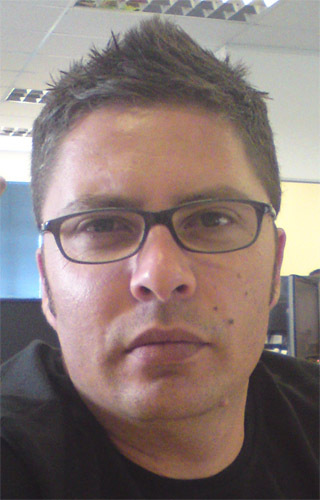 So, I got involved in the community way back in 2008 when Zlatan Dzinic asked me to come along to the first SharePoint Saturday ever in South Africa. This was held at BCX where both Zlatan and I worked. We managed to get funding for a few pizza’s and drinks and we had a total of 20 people attend, with 4 sessions on the day. Suffice to say and unbeknown to me, this was the start of my journey into the great Microsoft community that we have in South Africa. I missed the 2009 events and officially got handed the keys to SharePoint Saturday back in 2010 when Zlatan left the country. I managed to secure Dimension Data’s venue and we had a bunch of international speakers fly in, including Zlatan, Ben Curry, Michael Noel and Toni Lanni. What came as a huge surprise was the response I got from sponsors and delegates alike as SharePoint Konsult at the time sent out the invites from a @smcenterprise.co.za email address. People were under the impression that it was a vendor event. I even got comments from Microsoft directly. Ever since then, I have registered sharepointsaturday.co.za, communitysaturday.co.za, spsplus.co.za, etc as the primary method of correspondence. It was clear to me that being involved in the community required me to be completely vendor and company agnostic. To such an end, no company I have worked for since 2008 has ever paid for anything I have done in the community and also in my personal capacity as an international speaker, MVP or community lead. I made certain that everything, including flights overseas, had been covered by myself. Let me dispel some myths that have been going around for the last few years about not only the information worker community but also SharePoint Saturday. We have had challenges at community night where banners were put up by other companies as their communities representation was done through another entity. This was not sanctioned by the community and was shunned upon. If it does get to a point where that happens it will be because we have added sponsor options to our monthly community nights across the country and yes, this is going to happen. We have had other event organizers show up at our community nights, handing out pamphlets to their events without asking. Using SharePoint Saturday to push your own imperatives or that of your company without being a sponsor, this will no longer be tolerated. There are no “friends” when it comes to being ethical. It has come to my attention that certain individuals have been telling previous year’s sponsors that we pay for speakers to come out and then certain community members/organizers take these speakers to clients. Let me iterate. WE DO NOT PAY FOR SPEAKERS. If a sponsor/company wants to pay for speakers to come out and present at SharePoint Saturday, I will more than welcome it as it, adds better sessions to our events. They come out on the sponsor’s dime, and the sponsor can do whatever they want with them. I am just glad that the event gets the speaker for free. As part of the sponsor options, Diamond and Platinum are the only levels that get guaranteed a speaker slot. That’s what they pay for. The other speakers get ratified based on topic importance firstly, then level/type (100 – 400) then speaker popularity. We never rate speakers on the company that they work for. Even I was rejected as a speaker for SharePoint Saturday JHB a few years ago. Strangely enough, I have only ever presented twice at SharePoint Saturday and that was only because we needed speakers. Everyone that is involved in the Information Worker Community and SharePoint Saturday does so because they love being able to build community, watch people grow and are evangelical about sharing their thoughts, views and passions in the community. For those who use the community for their own personal gains, you are not wanted, we will not let you tarnish what we are trying to build so please leave us alone as you are ruining it for all of us. I am tired of always worrying about what other people think and or say. I have remained impartial and unaffected since the beginning, but when the blatant disregard for what community is, what we do in the community and how we conduct ourselves in the community is challenged; to those out there, the gloves are off, next person to challenge the integrity of the community and any event that I am involved will have to deal with not only me, but the full brunt of the community and what we stand for. Our motto is “Learning through Sharing”. There’s no “I” or “Company” or “Status”. Just passionate people, excited about talking about their experiences with SharePoint and the greater Microsoft Ecosystem.